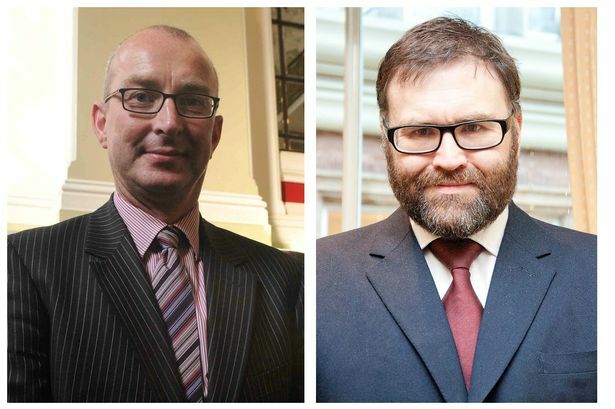 So the Labour Party is giving its members a choice between Euro-MP Sion Simon and former councillor Steve Bedser as their candidate for West Midlands Mayor. Few expect Mr Bedser to win given that his rival has been effectively campaigning for this for the last six years. In fact a Bedser win would eclipse Leicester City’s Premier League victory in the underdog overcoming all the odds stakes. A shortlist of five was whittled down to the two by Labour’s National Executive Committee following nominations from local party groups, trade unions and affiliated organisations – details of which have trickled out from various party sources over the last few days. Given his odds-on favourite status it was little surprise to hear that 15 out of 16 constituency Labour parties gave their official backing to Mr Simon. The only one to back Mr Bedser, I am told, was his home patch of Edgbaston. What is surprising about is that there are 28 constituencies in the West Midlands conurbation – which means 12 did not express a view. Should the West Midlands Mayor be allowed to raise taxes? It is difficult to believe all 12 left the letter in an over-stuffed in tray. The ‘metro mayor’ has been billed as one of the most important jobs in local government with the power to transform the economic and social prospects of regions and make decisions over investment, which until now have been made by Government departments and quangos. In the case of the Selly Oak constituency, I was told by a credible source that they simply did not rate any of the five candidates strongly enough to nominate. It has been confirmed by a party official they “chose not to nominate” but they denied the reason was the calibre of candidates offered. It has already been pointed out on these pages that while other mayoral races are attracting interest of national big hitters Andy Burnham (Greater Manchester) and Caroline Flint (Sheffield) the Greater Birmingham race has so far failed to grab a household name. There are several reasons that MPs with a national profile like Ian Austin (Dudley North) and Liam Byrne (Hodge Hill) have not come forward. First, after his tenacious six-year campaign of networking the region’s membership, Sion Simon has pretty much sewn up the job. Surely it would be better for him to slay a big beast of a rival on the way to the job. Secondly, being on the moderate wing of the party, they would be unlikely to get the support of the active grass roots membership which veered to the left last summer. Mr Austin is of course regarded as plotter-in-chief against Jeremy Corbyn’s leadership and would face outright hostility from the rank and file. And finally, the leaders of the seven councils have ensured the Mayor will simply be a figurehead for their combined authority committee – this has been called the “smothered mayor” model. He or she can chair the meetings but will be unable to do anything without their consent. Such shackles are another reason to avoid the job. We are looking for a Boris or Livingstone-type figure to fight for the region, secure investment and get the economy pushing in the same direction. But there is so far little evidence this will happen. Some critics of the pro-Corbyn group Momentum have suggested that those on the left of the Labour Party do have a problem with women. Well senior Birmingham councillor Majid Mahmood certainly does – he can’t seem to spell their names. The council cabinet member for efficiency was this week on social media promoting a Birmingham city centre rally in support of the beleaguered Labour Party leader and listed a series of fellow supporters. But two new names appeared; Cllr Pauline Hamilton and Cllr Shabrana Hussein. Could it be that ‘Majic’ Mahmood was thinking of his colleague Paulette Hamilton, who sits alongside him at the cabinet table overseeing the health portfolio and maybe the newly elected councillor for Springfield Shabrana Hussain were on his mind as the poster was sent out. PS: This is only fun. As the guy who was mocked for tweeting Smelly Oak the other week, I can symathise.